A Victorian firescreen from about 1840 has an exquisite framed classical scene in hand stitched petit point and colored glass beads. 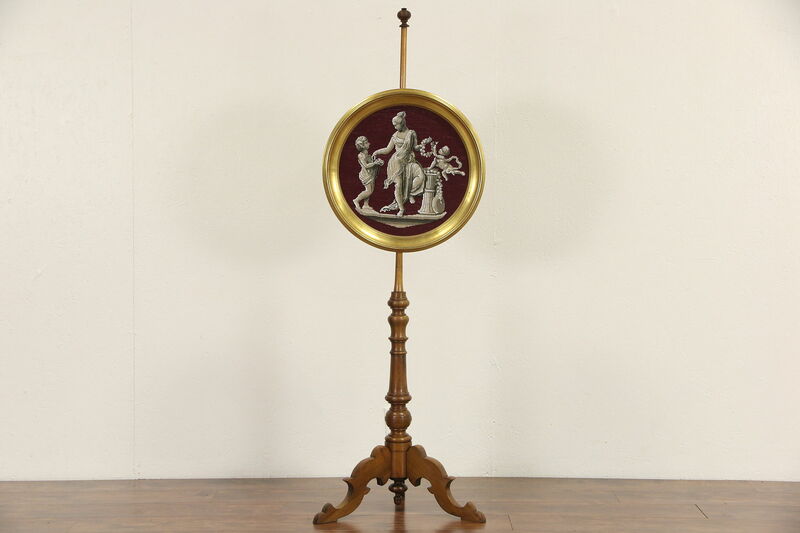 The adjustable round frame is genuine gold leaf, possibly refinished later. The carved walnut base has a very fine old finish on this American made antique furniture. The shaft is removable for easier shipping. Frame diameter is 19 1/2," height is 60" overall.